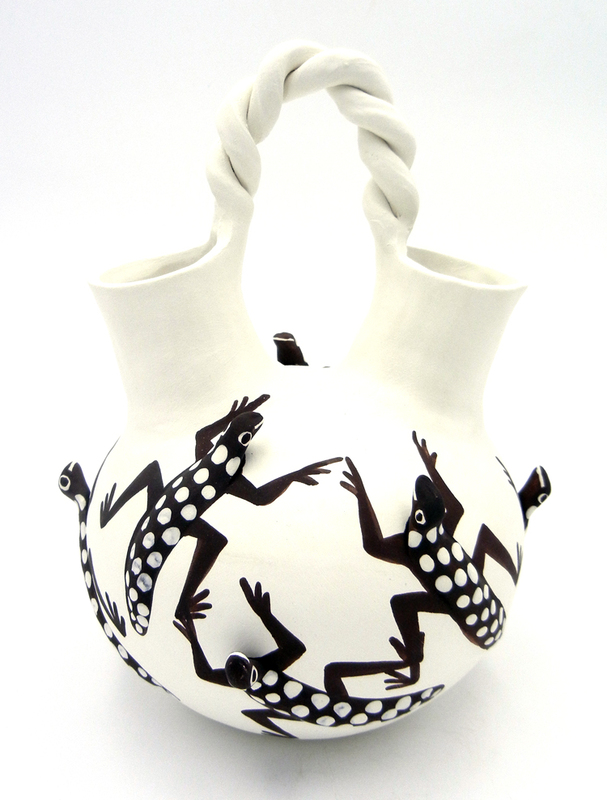 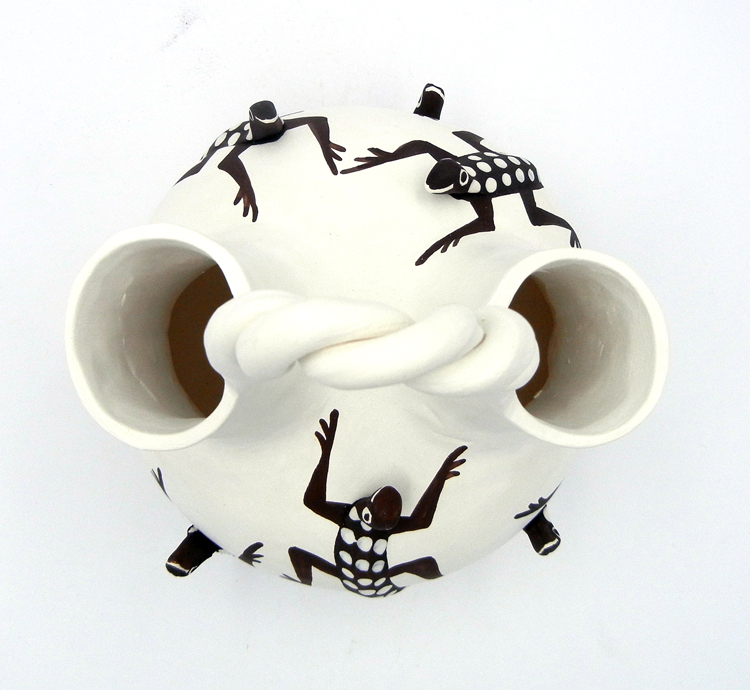 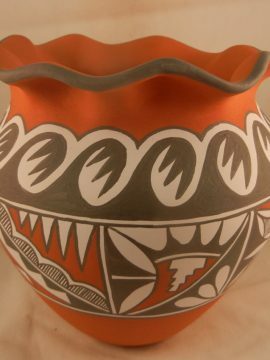 A stark white backdrop provides the perfect base for black and white three dimensional lizards in this unique wedding vase by Acoma potter Nadine Mansfield. 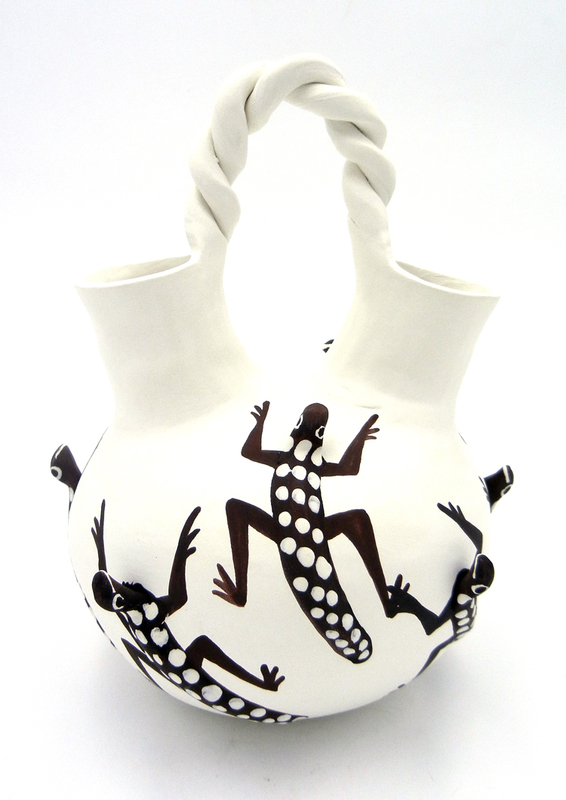 Eight lizards climb the exterior of the bottom of this piece, their heads protruding up and away fro the surface, and their bodies painted black, with white dots. 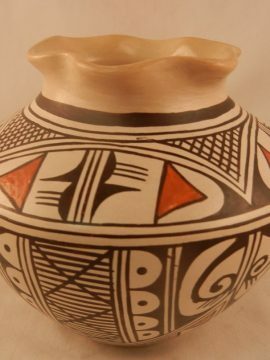 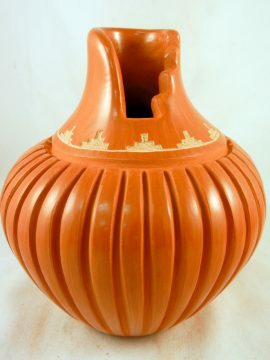 The handmade vase is finished with a beautiful braided handle, and the white backdrop hearkens the purity of a wedding ceremony. 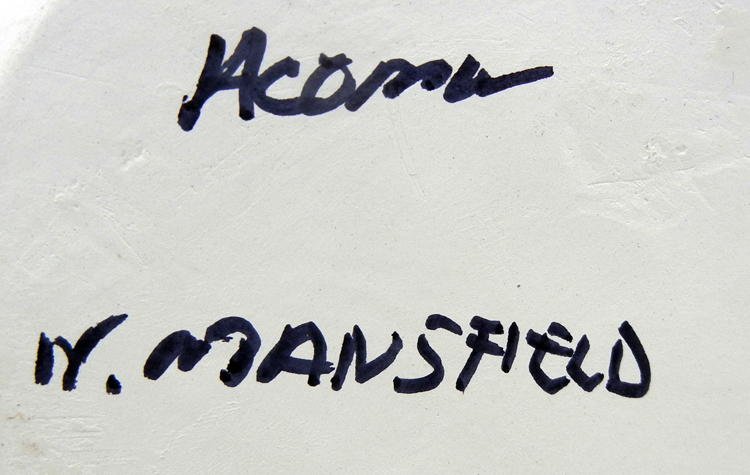 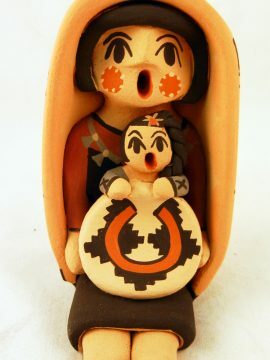 9″ tall x 6 1/2″ wide.